Fifty years ago, the city-state of Singapore was an undeveloped country with a GDP per capita of less than US $320. Today, it is one of the world's fastest-growing economies. Its GDP per capita has risen to an incredible US $60,000, making it the sixth highest in the world based on Central Intelligence Agency figures. For a country that lacks territory and natural resources, Singapore's economic ascension is nothing short of remarkable. 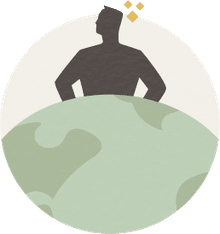 By embracing globalization, free-market capitalism, education, and strict pragmatic policies, the country has been able to overcome their geographic disadvantages and become a leader in global commerce. For over a hundred years, Singapore was under British control. But when the British failed to protect the colony from the Japanese during World War II, it sparked a strong anti-colonial and nationalist sentiment that subsequently led to their independence. On August 31, 1963, Singapore seceded from the British crown and merged with Malaysia to form the Federation of Malaysia. Although no longer under English rule, the proceeding two years Singapore spent as part of Malaysia were filled with social strife, as the two sides struggled to assimilate with one another ethnically. Street riots and violence became very common. The Chinese in Singapore outnumbered the Malay three-to-one. The Malay politicians in Kuala Lumpur feared their heritage and political ideologies were being threatened by the growing Chinese population throughout the island and peninsula. Therefore, as a way of ensuring a Malay majority within Malaysia proper and to phase out communist sentiments within the country, the Malaysian parliament voted to expel Singapore from Malaysia. Singapore gained formal independence on August 9, 1965, with Yusof bin Ishak serving as its first president and the highly influential Lee Kuan Yew as its Prime Minister. Upon independence, Singapore continued to experience problems. Much of the city-state's three million people were unemployed. More than two-thirds of its population was living in slums and squatter settlements on the city's fringe. The territory was sandwiched between two large and unfriendly states in Malaysia and Indonesia. It lacked natural resources, sanitation, proper infrastructure, and adequate water supply. In order to stimulate development, Lee sought international assistance, but his pleas went unanswered, leaving Singapore to fend for itself. During colonial times, Singapore's economy was centered on entrepôt trade. But this economic activity offered little prospect for job expansion in the post-colonial period. The withdrawal of the British further aggravated the unemployment situation. The most feasible solution to Singapore's economic and unemployment woes was to embark on a comprehensive program of industrialization, with a focus on labor-intensive industries. Unfortunately, Singapore had no industrial tradition. The majority of its working population was in trade and services. Therefore, they had no expertise or easily adaptable traits in the area. Moreover, without a hinterland and neighbors who would trade with it, Singapore was forced to look for opportunities well beyond its borders to spearhead its industrial development. Pressured to find work for their people, the leaders of Singapore began to experiment with globalization. Influenced by Israel's ability to leap over its Arab neighbors who boycotted them and trade with Europe and America, Lee and his colleagues knew they had to connect with the developed world and to convince their multinational corporations to manufacture in Singapore. In order to attract investors, Singapore had to create an environment that was safe, corruption- free, low in taxation, and unimpeded by unions. To make this feasible, the citizens of the country had to suspend a large measure of their freedom in place of a more autocratic government. Anyone caught conducting narcotic trade or intensive corruption would be met with the death penalty. Lee's People Action Party (PAP) repressed all independent labor unions and consolidated what remained into a single umbrella group called the National Trade Union Congress (NTUC), which it directly controlled. Individuals who threatened national, political, or corporate unity were quickly jailed without much due process. The country's draconian, but business-friendly laws became very appealing to international investors. In contrast to their neighbors, where political and economic climates were unpredictable, Singapore on the other hand, was very predictable and stable. Moreover, with its advantageous relative location and established port system, Singapore was an ideal place to manufacture out of. By 1972, just seven years since independence, one-quarter of Singapore's manufacturing firms were either foreign-owned or joint-venture companies, and both the U.S. and Japan were major investors. As a result of Singapore's steady climate, favorable investment conditions and the rapid expansion of the world economy from 1965 to 1972, the country's Gross Domestic Product (GDP) experienced annual double-digit growth. As foreign investment poured in, Singapore began focusing on developing its human resources, in addition to its infrastructure. The country set up many technical schools and paid international corporations to train their unskilled workers in information technology, petrochemicals, and electronics. For those who could not get industrial jobs, the government enrolled them in labor-intensive un-tradable services, such as tourism and transportation. The strategy of having multinationals educate their workforce paid great dividends for the country. In the 1970s, Singapore was primarily exporting textiles, garments, and basic electronics. By the 1990s, they were engaging in wafer fabrication, logistics, biotech research, pharmaceuticals, integrated circuit design, and aerospace engineering. Today, Singapore is an ultra industrialized society and entrepôt trade continues to play a central role in its economy. 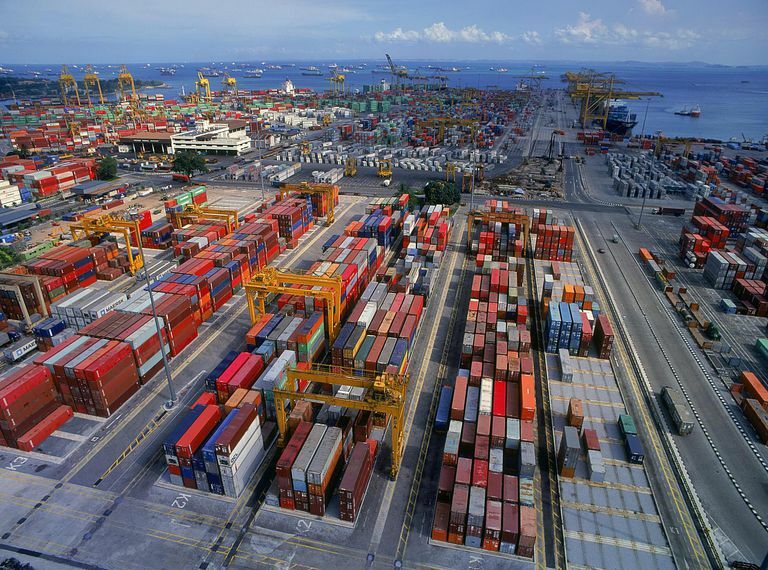 The Port of Singapore is now the world's busiest transshipment port, surpassing Hong Kong and Rotterdam. In terms of total cargo tonnage handled, it has become the world's second busiest, behind only the Port of Shanghai. Singapore's tourism industry is also thriving, attracting over 10 million visitors annually. The city-state now has a zoo, night safari, and a nature reserve. The country recently opened two of the world's most expensive integrated casino resorts in the Marina Bay Sands and the Resorts World Sentosa. The country's medical tourism and culinary tourism industries have also become quite marketable, thanks to its mosaic of cultural heritage and advance medical technology. Banking has grown significantly in recent years and many assets formerly held in Switzerland have been moved to Singapore due to new taxes imposed by the Swiss. The biotech industry is burgeoning, with drug makers such as GlaxoSmithKline, Pfizer, and Merck & Co. all establishing plants here, and oil refining continues to play a huge role in the economy. Despite its small size, Singapore is now the fifteenth largest trading partner of the United States. The country has established strong trade agreements with several countries in South America, Europe, and Asia, as well. There are currently over 3,000 multinational corporations operating in the country, accounting for more than two-thirds of its manufacturing output and direct export sales. With a total land area of just 433 square miles and a small labor force of 3 million people, Singapore is able to produce a GDP that exceeds $300 billion dollars annually, higher than three-quarters of the world. Life expectancy is at an average of 83.75 years, making it the third highest globally. The corruption minimal and so is the crime. It is considered to be one of the best places to live on earth if you don't mind the strict rules. Singapore's economic model of sacrificing freedom for business is highly controversial and heavily debated. But regardless of philosophy, its effectiveness is certainly undeniable.